J.K. Rowling, who has often criticized President Donald Trump, said she "apologized unreservedly." J.K. Rowling has apologized for tweets alleging that U.S. President Donald Trump refused to shake the hand of a disabled boy. 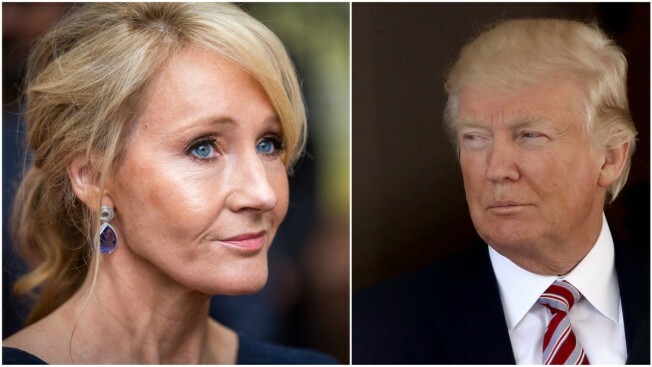 The "Harry Potter" author called Trump "horrible" after seeing footage of the president appearing to ignore the child's outstretched hand during a White House event last week. But the boy's mother, Marjorie Kelly Weer, posted on Facebook: "Trump didn't snub my son & Monty wasn't even trying to shake his hand." Rowling, who has often criticized Trump, said she "apologized unreservedly." She tweeted Monday that "I very clearly projected my own sensitivities around the issue of disabled people being overlooked or ignored onto the images I saw." The author has deleted her original tweets on the subject.